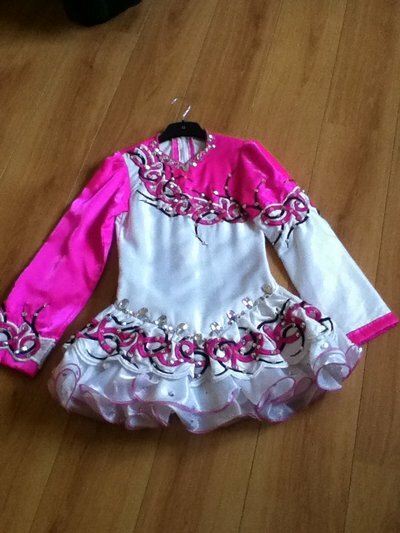 Stunning pink and white costume designed by Geraldine Taylor Belfast. 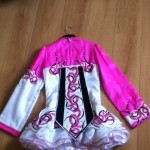 Dress is covered in hundreds of Swarovski crystals, has brilliant stage presence. 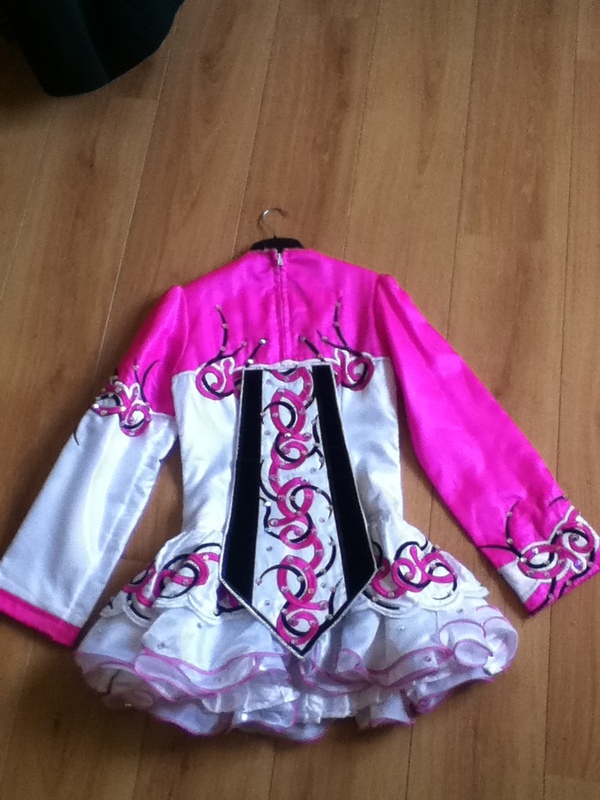 Very elegant dress suitable for a dancer aged 11-13. Pink headband and white kickpants are included. This dress has not been let out or let down so there is plenty of room do to so.